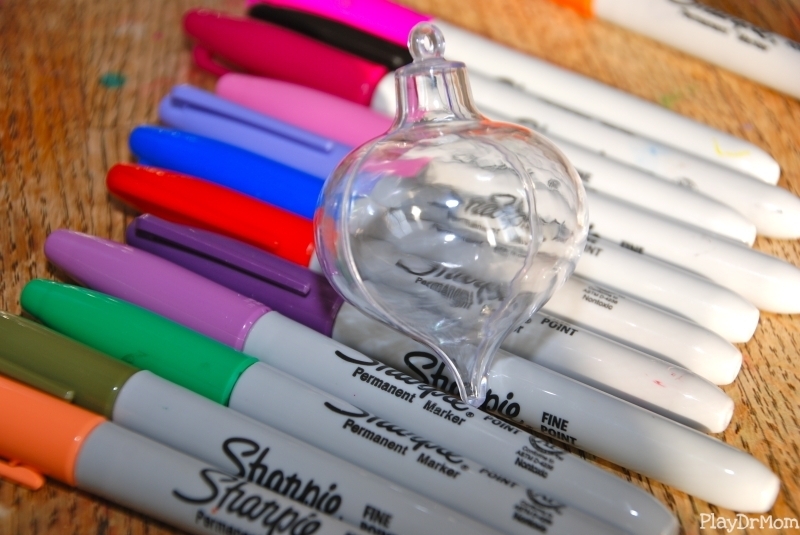 I had some clear plastic Christmas bulbs that I purchased from Oriental Trading Company a couple years that we never found the exact right thing to do with them … until now. 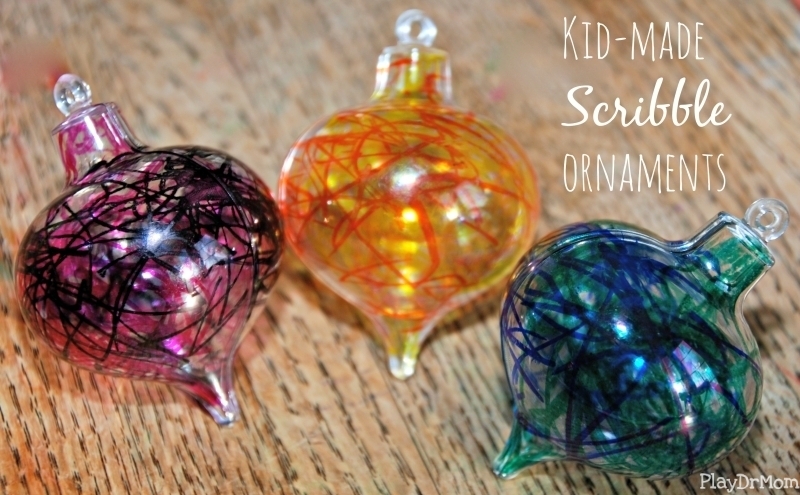 I handed them over to my four-year old with a bunch of Sharpie markers and she went to town – creating beautiful kid-made scribble ornaments. The effect of her multi-colored scribbles worked perfectly. These particular ornaments spilt in two down the sides making them hard impossible to fill up like the ones with the simple hole in the top. However, my daughter used this to her advantage and colored on both the outside and inside creating a fun dimensional look. The fact that they were plastic also made it easier for them to work with … and me less fearful of crushing a glass and someone getting cut. 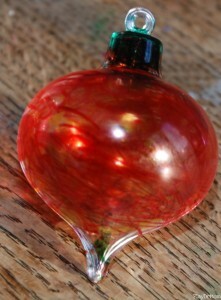 But I’m sure you could create the same cool effect on clear glass bulbs as well. If you give a try I’d love to see photos of the masterpieces! I love how these came out…and so easy too! 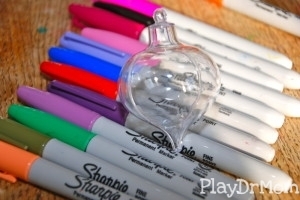 What a great ornament to make with the kiddos. They are beautiful!! I pinned them for later. These came out beautiful! What a fun project for the kids to make!